The Go Hillsborough law enforcement investigation report was released on the Monday afternoon of the day before our Tuesday Primary Election. That's a convenient way to change the media coverage……get it drowned out by our Primary Election coverage. All of the media reporting from the Tribune and the Times basically focused only on the 12 page summary from State Attorney Mark Ober. The Tribune/Times reporters, to my knowledge, have not read the almost 2000 page investigative report. They should. 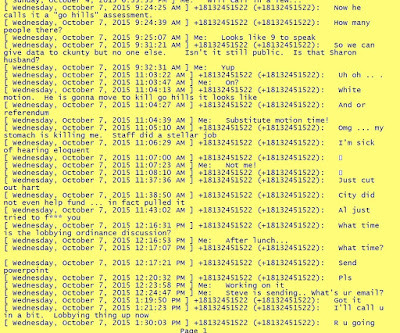 Only WTSP's Noah Pransky, who broke the story last fall, appears to have actually read through the details according to his latest reporting, The 3 most damning things in Go Hillsborough investigation. Outsiders could say what they want, he told her, but people on the inside don’t listen to them. Insiders get more access to push their ideas to powerful people. 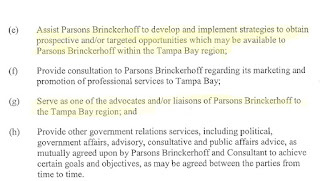 Our local media, except for WTSP's Noah Pransky, made a conscious decision to be Insiders because it corroborates their own agenda for a sales tax hike and that end justifies any means for getting there. Shameful! Most reporting also fails to include there are Ethics complaints being investigated by the Ethics Commission in Tallahassee. The big news (or not) is that State Attorney Ober found no criminal wrong doing. That was what we always expected because the legal bar is low, no forensic investigation was conducted and the investigation was contained within a very narrow focus. Cronyism does not equate to illegal and we never stated it did. Just because something is not illegal, does not mean it is ethical, moral, virtuous, honest or has any sense of integrity. But thanks to County Administrator Mike Merrill who asked for the investigation. The bigger news is the detailed investigation report confirms much of what the Eye has stated about the Go Hillsborough debacle. The cronyism is obvious and the timeline of events are not coincidental. The entire investigative report can be found here. Read it because it is "Eye" opening. It's a pdf file so use the "Find" tool and search on the words Parsons, Beth Leytham, lobbyist, or the names of those interviewed which included all the commissioners, Mayor Buckhorn, Mike Merrill, Bob Clifford. A Pepcid or antacid may be needed before reading to prevent heartburn or nausea. The county used the guise of public engagement to orchestrate and create a taxpayer funded Go Hillsborough campaign to specifically sell another sales tax hike. Go Hillsborough was not about doing engineering work - there was never an engineer provided by Parsons nor any certified engineering documents produced. We did get branding, electioneering focus groups, electioneering polling and colluding with the media to create their "message". Below are Leytham's phone records just for the day of the August 12 Policy Leadership Group (PLG) meeting where suddenly the PLG was voting on hiring a consultant to do public engagement. What really happened between June and August of 2014? Merrill stated at the May 2014 PLG meeting that the transit projects were to be presented to the PLG members at the next PLG meeting in June. Roads had already been discussed during previous months meeting. Merrill cancelled June and July PLG meetings. Instead of picking up where they left off in May and presenting transit projects to the PLG in August, all of a sudden the PLG was voting to hire a "transportation expert not a PR firm" to do transportation public engagement. Obviously a decision was made between the May and August PLG meetings, outside of Sunshine and behind the scenes that the direction of the PLG changed. Who made that decision and/or who influenced that decision? From those interviewed, the county or Merrill or someone(s) felt there was a sense of urgency to getting this public engagement done so a vote could be taken by the commissioners to put another sales tax hike on the 2016 ballot. It was all about getting a referendum on the 2016 ballot. The transit projects, as promised by Merrill, were never presented publicly to the PLG. What else is gleaned from the report? 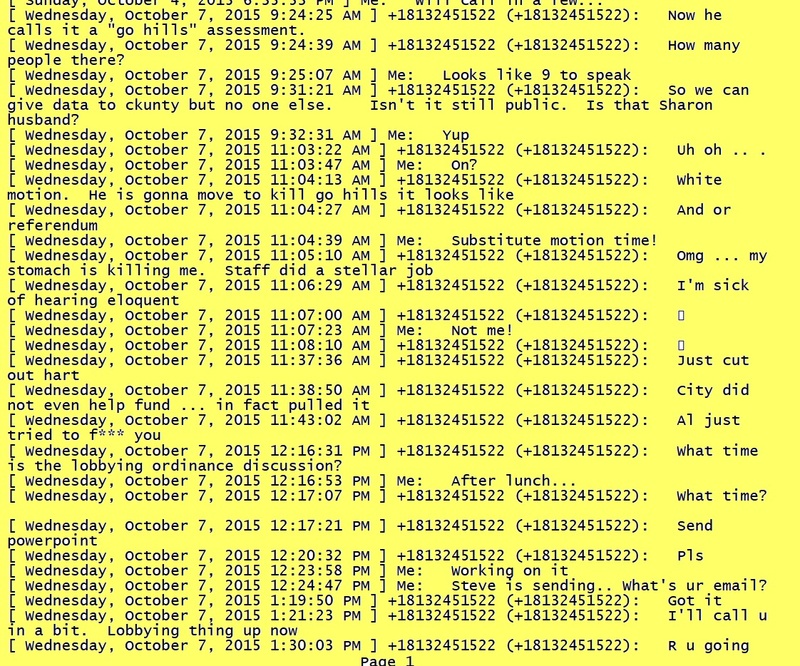 Page 95 - Commissioner Hagan and Leytham text each other during county commission meetings, including text messages related to agenda items (ironically the agenda for county commission meetings provided the public clearly state ALL CELLULAR PHONES AND PAGERS MUST BE TURNED OFF WHILE IN THE BOARDROOM.) Are they exempt from their own rules? 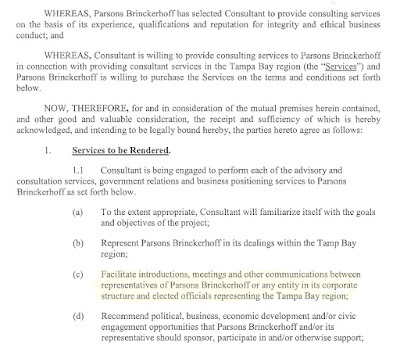 While apparently not illegal,the county abused the CCNA procurement process which is governed by Florida Statute 287.55 to procure "professional engineering services". This Statute must be reformed by our state legislators so the abuse of using it to procure taxpayer funded campaign work for a referendum never happens again - as that is using taxpayer money against the taxpayer - a post for another day. One of the biggest issues the Sheriff's investigation seemed concerned about was all the gray matter surrounding what constitutes a lobbyist (or not). 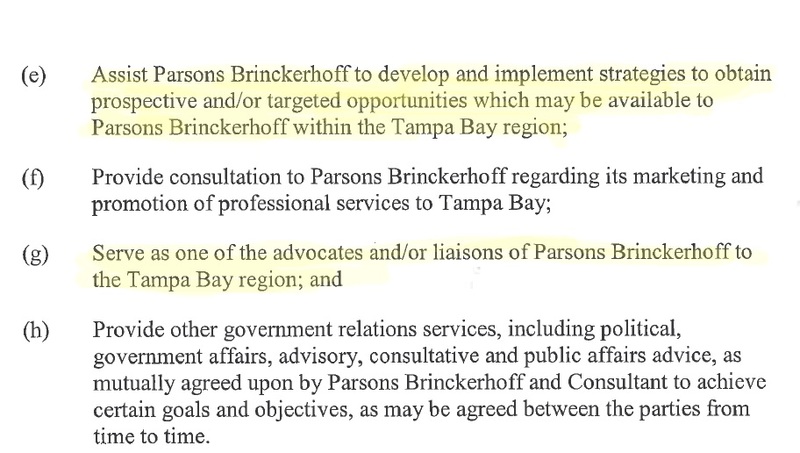 Page 47 of the report includes Parsons Brinckerhoff's "Political Consultants" agreement with Beth Leytham dated April 2014. 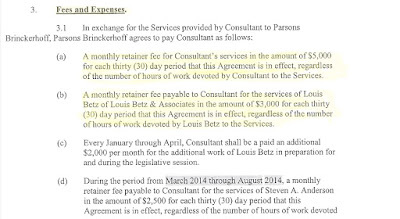 Parsons paid Leytham a $5000 a month retainer fee to use her politically well connected relationships to obtain business for PB in the Tampa Bay area. Leytham was working for Parsons when all those calls above were made. Common sense indicates Parsons Brinckerhoff was paying Leytham to exploit her access, especially the massive access she has with electeds. She was being paid $5000 a month by Parsons to obtain "prospective opportunities" during those months leading up to the county handing Parsons the public engagement "opportunity". 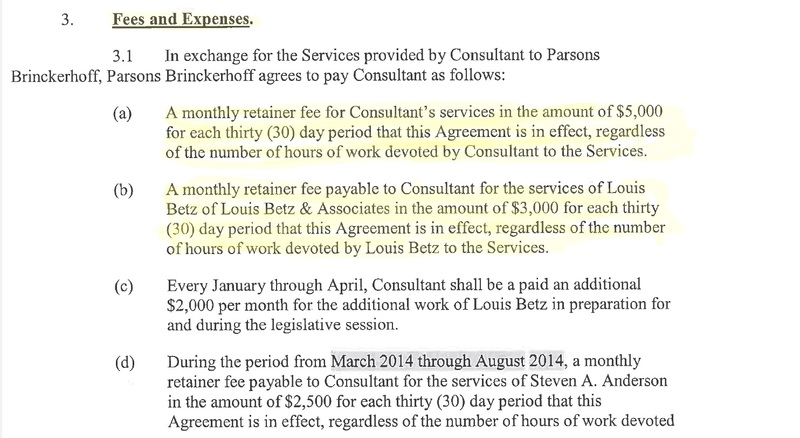 It was well worth Parsons investment because four months and $20K later, Parsons was handed the $1.35 million campaign with Leytham "in tow". Leytham and Parsons Brinckerhoff have had contracts working together for years. Her website highlights Parsons Brinckerhoff as one of her clients. 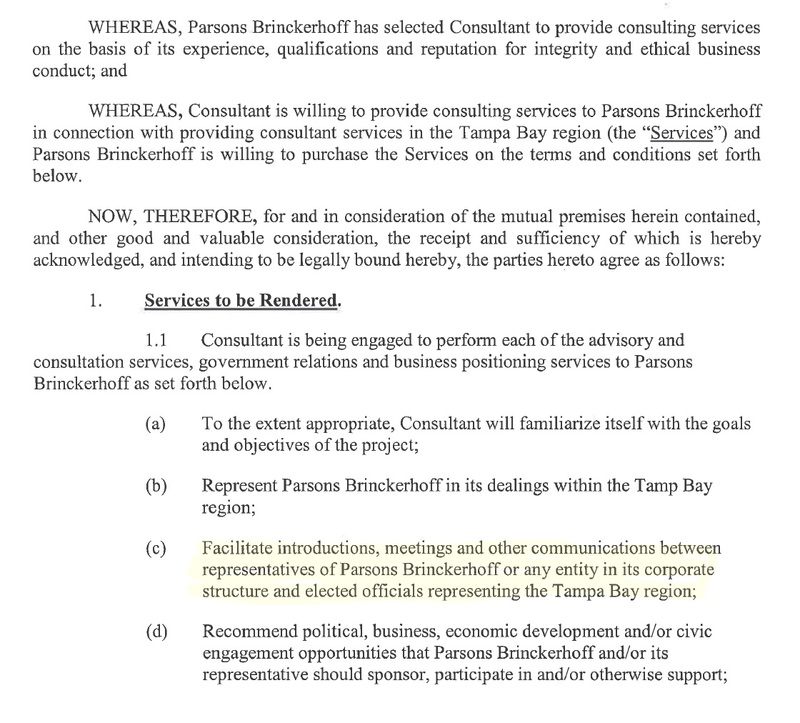 As we posted here, Leytham and Parsons worked on Buckhorn's $1.2 million InVision Tampa. Everyone knows who Leytham is as she has had plenty of media coverage over the years (another post for another day). Don't kid yourself that there is anyone down at County Center who suddenly got amnesia and feigns ignorance of who Beth Leytham is. A concern that appears to have been brought up in the report is the numerous hats Leytham wears. She wears so many - "friend", campaign consultant, consultant, advocate, close associate, lobbyist, political consultant, information traffic cop, political ally, intelligence gatherer, media conduit, personal Google alert….How did those decision makers, who she had massive access to and was in constant communication with, know what hat she was wearing whenever they were communicating or she called or texted? It is apparent that Leytham likes to stick her nose into county and city business while wearing all her hats. 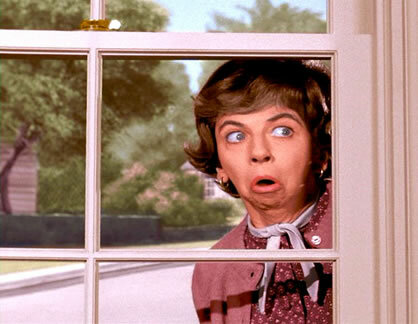 But Leytham was not just a nosy busybody like Mrs. Gladys Kravitz of the old TV show Bewitched. Leytham is a highly paid "Insider" busybody who has been on the receiving end of lots of money, including lots of taxpayer money. Exploiting her massive access to electeds and decision makers, it certainly appears her "Insider" busybody nosiness has benefited her. Nosy Busybody Gladys Kravitz from "Bewitched"
A common question throughout the investigation asked of those interviewed under oath was whether Beth Leytham was a lobbyist. Many of those interviewed conveniently used the same terminology to describe Leytham (as if coached) - she's an advocate, a consultant and an "intelligence source". But asked if she was a lobbyist - almost all said no. County Administrator Mike Merrill admits that "depending on who you ask, yeah she was a lobbyist" and how "clever" she was because she never disclosed who she was representing. He throws it back to Leytham's responsibility to register as a lobbyist, which of course, she did not. He throws his hands up and says it's not his or the county's responsibility to enforce anything. Nice, huh? No wonder she wanted that lobbying ordinance presentation from Hagan on the day that item was on the county commission agenda. Think she wanted to weigh in on it? vocabulary.com: A lobbyist is someone hired by a business or a cause to persuade legislators to support that business or cause. businessdictionary.com: The act of attempting to influence business and government leaders to create legislation or conduct an activity that will help a particular organization. (f) “Lobbying” means influencing or attempting to influence legislative action or nonaction through oral or written communication or an attempt to obtain the goodwill of a member or employee of the Legislature. (g) “Lobbying firm” means any business entity, including an individual contract lobbyist, that receives or becomes entitled to receive any compensation for the purpose of lobbying, where any partner, owner, officer, or employee of the business entity is a lobbyist. (h) “Lobbyist” means a person who is employed and receives payment, or who contracts for economic consideration, for the purpose of lobbying, or a person who is principally employed for governmental affairs by another person or governmental entity to lobby on behalf of that other person or governmental entity. 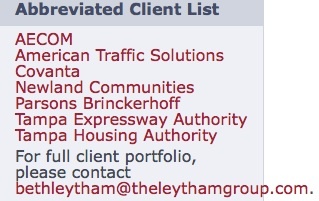 Leytham never registered as a lobbyist. If it walks, talks and squawks like a lobbyist, what is it? Do we expect our electeds and powerful decision makers to tiptoe around and tiptoe over the legal bar or be leaping over the ethical bar? Read the investigative report and you decide. More to come so keep a big supply of antacid.